Dry: 750 lbs., Wet: 4,910 lbs. 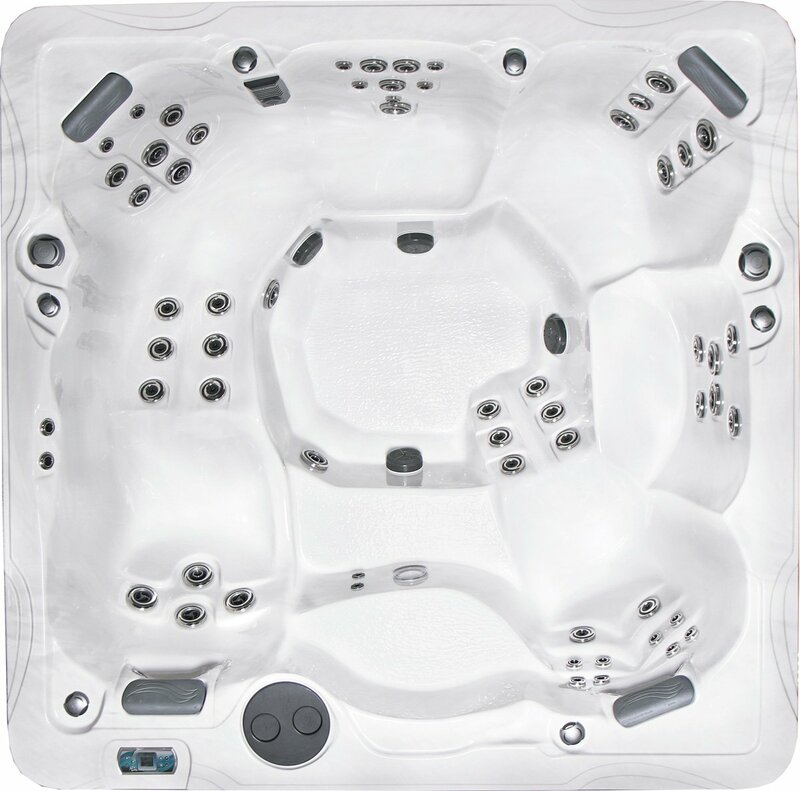 The Freeport hot tub from PDC Spas is a surprisingly affordable hot tub with ample seating in a perfectly symmetrical square design, measuring 94” square with a max depth of 3'3" at the center. An innovative seating layout includes a total of six seats, comprised of 4 ergonomically designed open seats, a wide full-length contoured lounger that's wonderful for stretching out and a captain’s chair. Each seat wraps your body with superb hydrotherapy action as 61 therapy jets release stress and melt tension from neck to toe. The Freeport is loaded with performance upgrades and comfort features for an experience that is unmatched. Standard features include PowerFlo™ filtration, Prism LED lighting, 2 lit cascading waterspouts and hydrotherapy stainless steel Reflections jetting™.